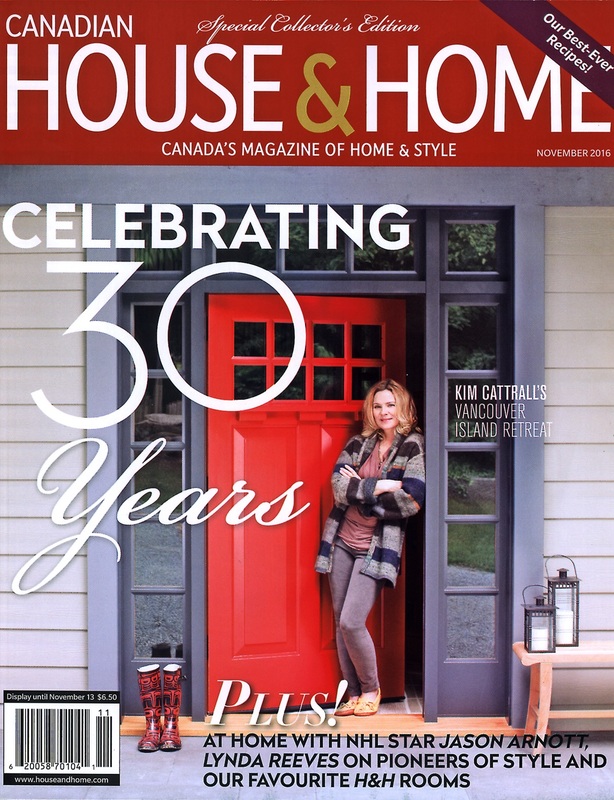 Canadian A-List Designer by House & Home Magazine! My living room featuring a mirrored fireplace and vintage prototype chairs. 30 years. What a milestone! My kitchen was inspired by 1930's luxury ocean liners. Everything in it's place and a place for everything. It's the smallest kitchen I have owned but the most efficient. Details, details and me in the background working at the dining table. A lovely vintage inspired project from 2013. Back to 2005 but this room still holds it's own. This client has moved recently and we are bringing along all these timeless furnishings. 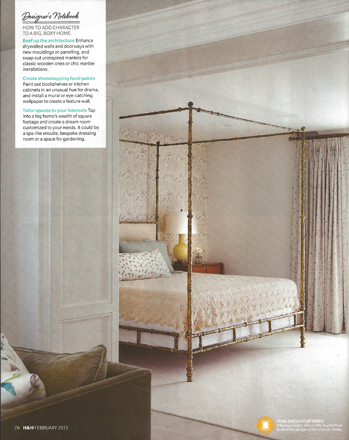 I love the architectural elements that I added into this client's master bedroom. It makes the sitting room at the forefront cozy and contains the bed for a timeless and classic look. Wow - my first house from almost 20 years ago . . . but I still love this and would move back in a heartbeat. Note the muslim fabric which I was credited with putting into interiors when the truth was also that I was young and starting out and it fit my budget! The foyer in my current house - nice to look back as this was published 5 years ago and since this I have put real peacock feathers to the walls for a magical effect. 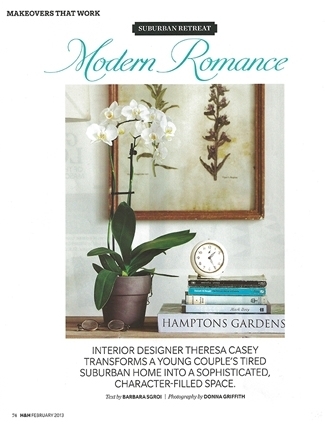 A lovely project for a young hip couple who were open to transforming their 1980's builder home into a custom contemporary pad. This classic library is still one of my favourites. A historic Edwardian home in the middle of Toronto, my goal was to restore this room to what I imagined it looked like when it was built at the turn of the century. I designed the hand carved oak mantle, the custom book cases and restored the damaged stained glass to showcase my client's huge library and many collectibles. Newer:Colour of the Year Older:Published in Waterworks Book!